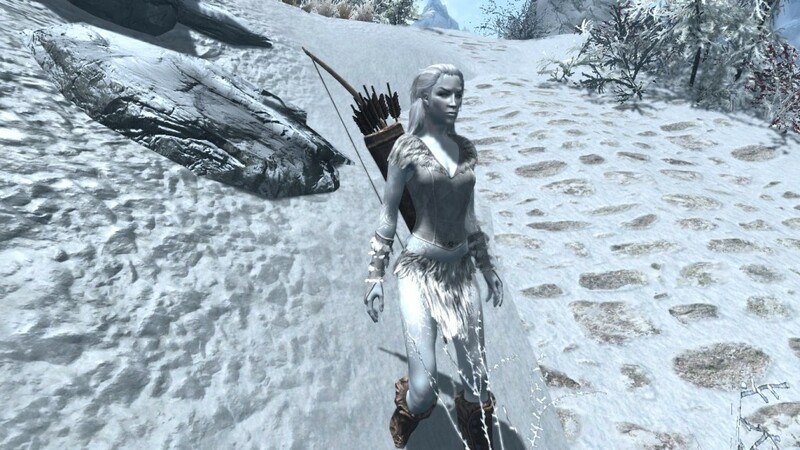 You are a white elf, often called a snow elf, known for your alabaster skin, pure white hair, and red-tinted eyes.. Long ago your kind was banished to the northern reaches, forced to survive in brutal winters and lurk around the icy caps of mountain peaks. Your kind survived and now holds a bitter grudge against those that dwell in the warmer climates below. This bitterness keeps you warm in the freezing cold, and has motivated your kind to rebuild a thriving empire where none thought you would survive. Whether you have left your wintery home in search of adventure, riches, or power you are armed with your cunning, endurance, and tenacity to aid you. Ability Score Increase. Increase your Strength score by 1. Cold Blooded. 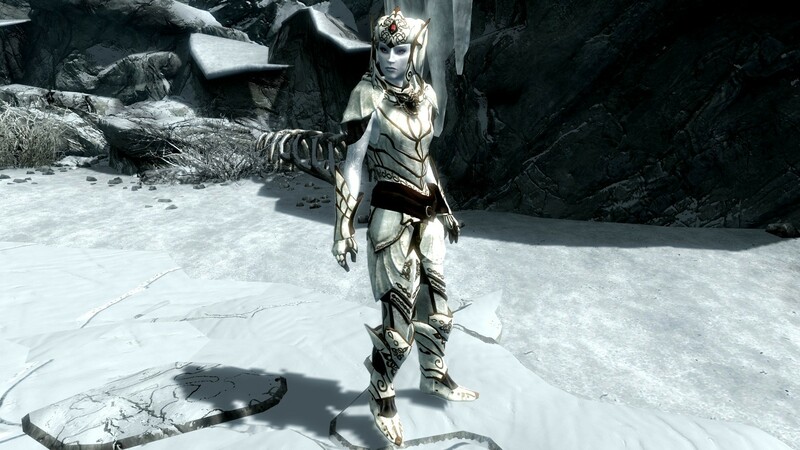 The blood of a white elf is strong against the bitter cold or cold magic. You have resistance to cold damage, natural or spell. White Elf Magic. Choose one cantrip: Chill touch or Ray of Frost. You now know this cantrip. At 5th level you can cast Misty Step once per day. Intelligence is your spellcasting ability for these spells. 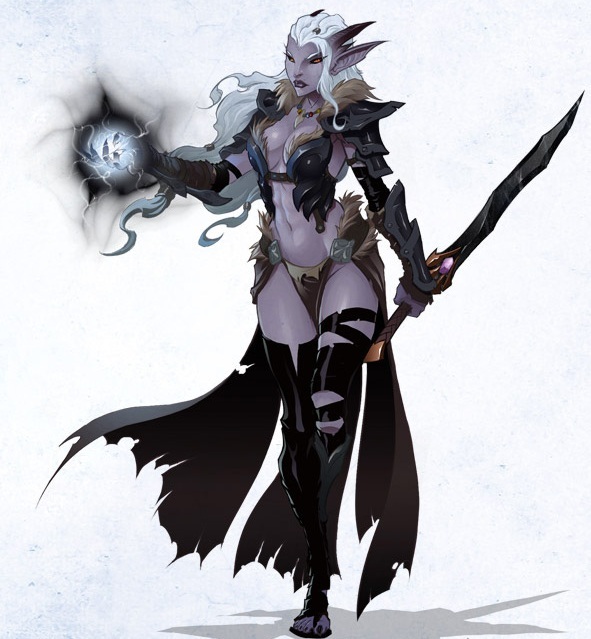 White Elf Vengeance. Bitterness runs through your blood. If an enemy successfully strikes you with a melee or ranged attack, you gain +1 damage on your next attack against them. If your attack misses, the effect is spent. This effect does not stack with multiple attacks and only one target can be the focus of your vengeance at a time. 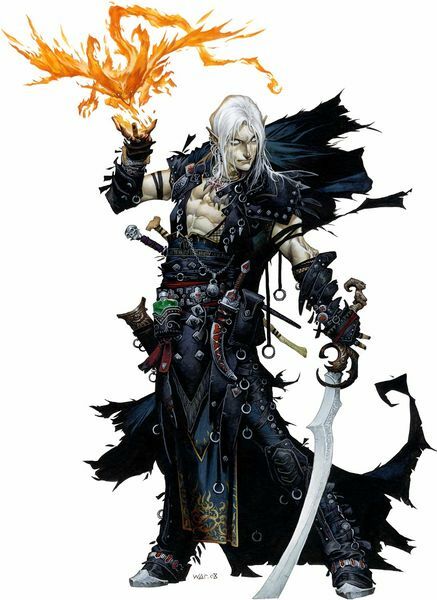 This entry was posted on Tuesday, November 18th, 2014 at 7:47 am	and posted in 5e, Role-playing. You can follow any responses to this entry through the RSS 2.0 feed. Ooo I like this. Simple yet effective.